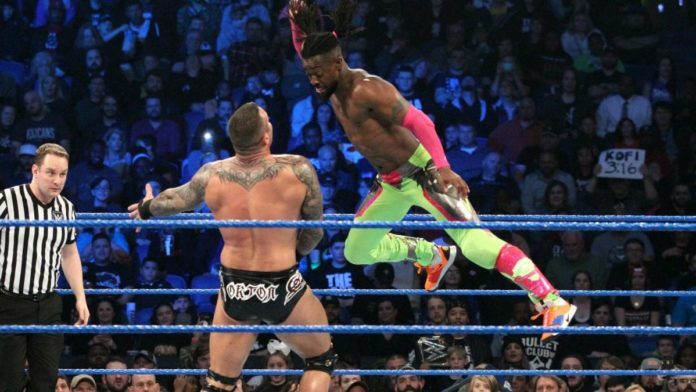 Kofi Kingston and Randy Orton referenced an incident from 2009 in the Smackdown main event last night. Kofi Kingston was announced last night as Daniel Bryan’s opponent at Fastlane. His booking over the last couple of weeks has reminded some of the time from nearly 10 years ago when he also appeared to be in line for a major push. As it turns out, Randy Orton and Kofi Kingston may have referenced this time from 2009 last night. In 2009, Kingston looked to be a breakout star. There are rumors his push was stopped after Orton was less than pleased with his performance during a match on RAW, however. Last night on Smackdown, that incident was referenced during the main event 6-man tag. 2009 – Randy Orton going "Stupid Stupid Stupid" after the RKO. Randy Orton “liked” the above Tweet. Tommy Dreamer commented on Edge and Christian’s podcast about Kofi’s lack of a push that year. He said it still bothers him. “I am still angry about a few things in professional wrestling,” Dreamer said. “Great things which were either dropped or messed up. One of them being when Kofi Kingston send Randy Orton through the table at Madison Square Garden and they never went full board with it, am still upset about that”. When asked about the incident from 2009, Kingston told Smack Talk Radio in 2012 he wasn’t too bothered by it. He said much of what Orton was doing was being in-character at the time.